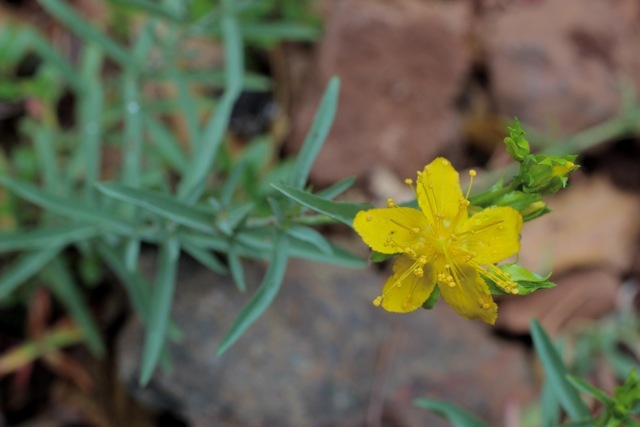 The large yellow flowers of goldwire (Hypericum coccinum) are adorned with many long yellow stamens. Beneath each cluster of showy blooms, the stalk is dense with paired, gray-green leaves that grow straight out from the stem. The leaves grow thickly from ground to flower, and the regular geometry creates a very striking visual effect. 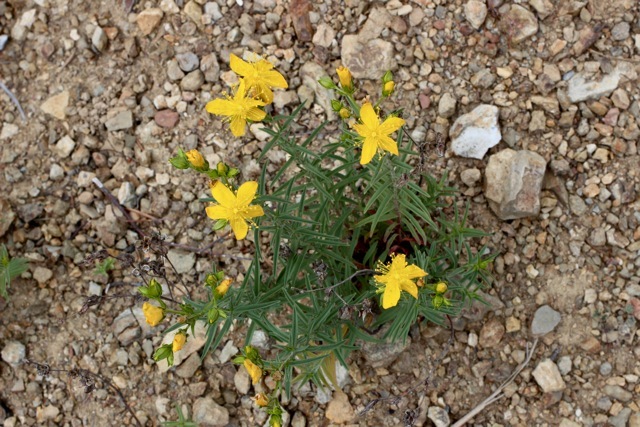 Goldwire is endemic to California, and is generally found in dry, rocky soils in the chaparral.